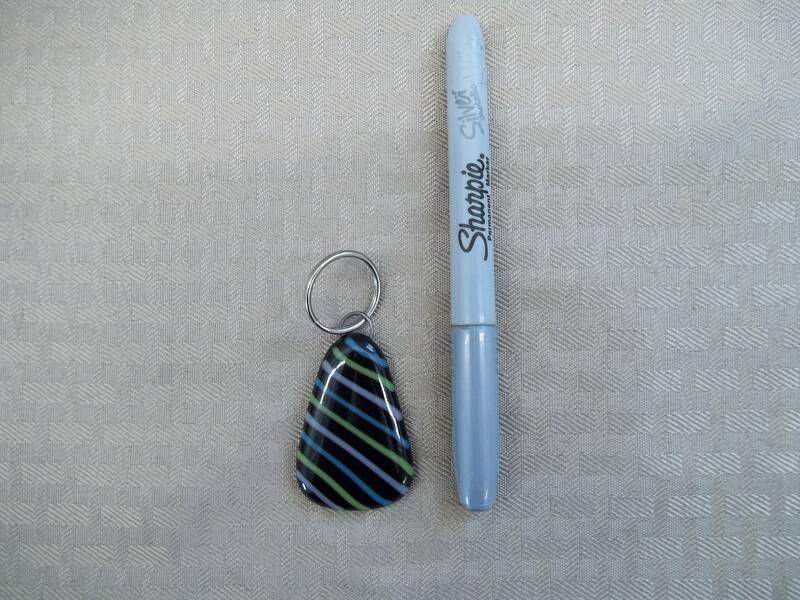 This key chain has a black background with hand laid mauve, green and blue stringers. This is a handcrafted piece that was fired in the kiln. The glass is 2" long and measures 1 1/4" across at the widest point and has a tear drop shape. 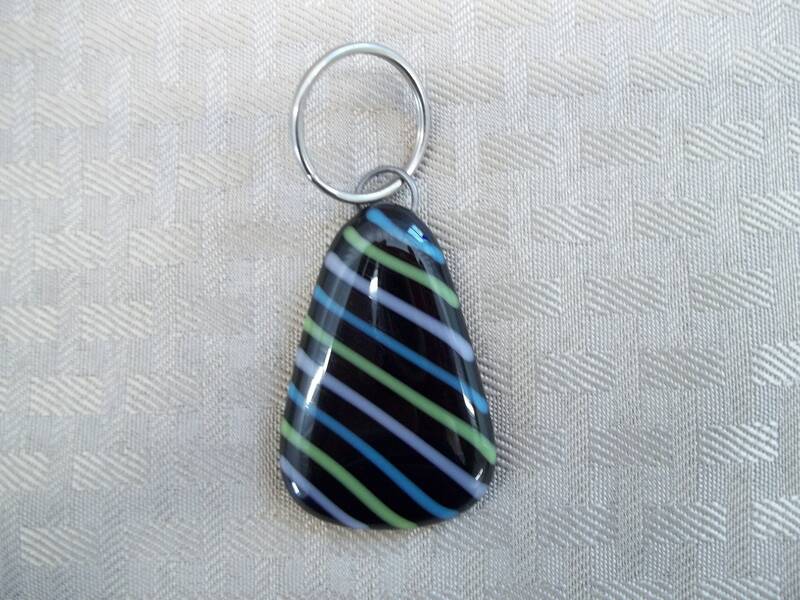 These fused glass key chains are very eye catching and I have gotten lots of compliments on mine.